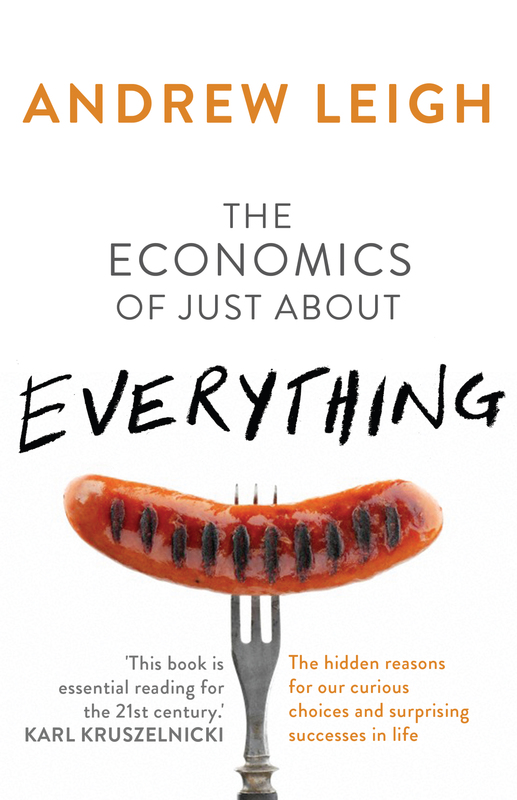 A fun and illuminating book full of surprising facts and amazing insights about how the laws of economics affect our everyday lives. Drawing on examples and data from across Australia, Andrew Leigh shows how economics can be used to illuminate what happens on the sporting field, in the stockmarket, and at work. 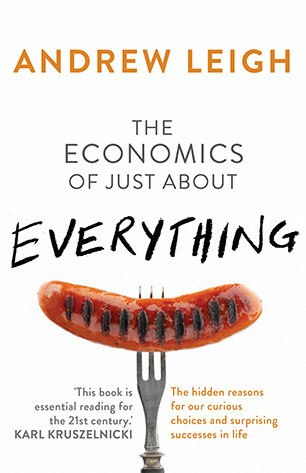 Economics has things to say about AC/DC and Arthur Boyd, dating and dieting, Grange and Geelong, murder and poverty. Incentives matter, often in surprising ways, and seemingly simple everyday activities can have unexpected outcomes. Insights from behavioural economics can also help us make better decisions. If you like fresh facts and provocative ideas, this is great train and weekend reading. You'll soon see the world and the people around you in a new light. Andrew Leigh is the federal member for Fraser, ACT. He has a PhD from Harvard, was a Professor of Economics at the Australian National University, appears regularly in the media, and is author of several books, including Battlers and Billionaires. No way could I recommend any of this to colleagues, friends or family members. Which is a terrible pity, because the later chapters, particularly Chapter 6 “Cops and Dollars” and Chapter 7 “Helping the World’s Poor”, are brilliant and deserve to be widely read and discussed. There is much too in Chapter 4 “Looking for a Raise” which should be better understood. Suddenly Karl Kruszelnicki’s endorsement on the front cover made sense: this truly is essential reading for anyone engaged with some of the key issues of our time. I have talked about, quoted from, and promoted these chapters passionately since reading them, and I think the ideas Andrew Leigh raises should be right out in the public domain. This is an essential book for anyone engaged in educating the next generation, whether parents, teachers or academics. Anyone involved in secondary or tertiary Debating, Social Studies, Ethics or any number of related areas needs to engage with these ideas. This book can be used to stimulate coming generations to see these issues from new perspectives, to make connections where none were seen before, and to approach society and its data with passion and intelligence.